Depending on the training aims, you can choose between springs or elastic ropes as the key components influencing the swinging and bouncing qualities of a trampoline. Additionally,the bouncing mat and the frame construction also influence the swinging qualities. Trampolines with steel springs are suited for dynamic exercises or jumping. Trampolines with elastic ropes are the right choice for slow, gentle and comfortable swinging or for rehabilitiation of ankle, knee or hip joints. The stability of a trampoline depends on sturdy legs or foldable legs, a strong frame construction as well as the suspension of the bouncing mat on the frame. 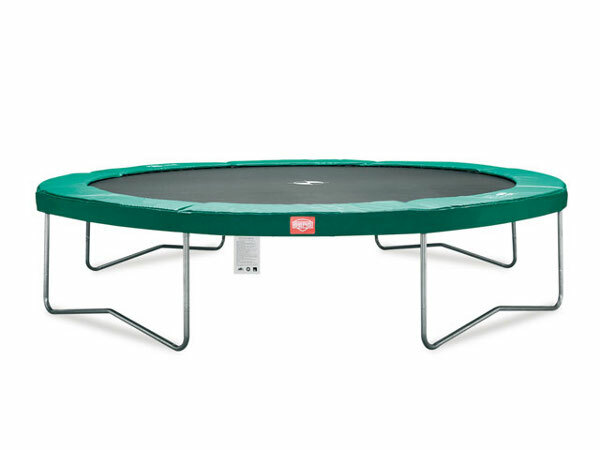 A sturdy trampoline is durable as well stable even when used with a higher weight load. The Berg trampoline Champion 270 cm is an excellent outdoor trampoline for the whole family. 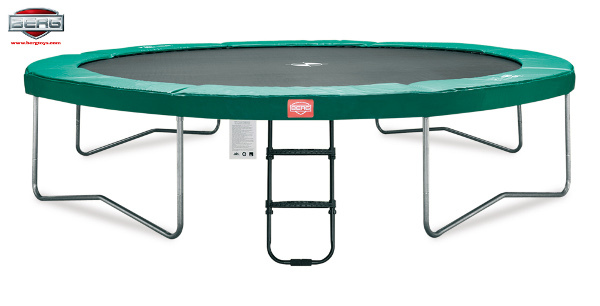 The Berg trampoline Champion 270 cm convinces by its fantastic jumping comfort, optimum safety and durability. The extra wide and thick protective edge is of high quality and cushions falls effectively. The Berg trampoline Champion 270 cm springs are attached to the jumping mat by triangular hooks and secured by a full 8 rows of stitching - this makes the trampoline sturdy, safe and durable. Due to the Goldspring technology the forces exerted on the body are significantly reduced. This makes for higher, safer and more comfortable jumps. The spring clip system ensures maximum comfort when setting up or moving the trampoline. 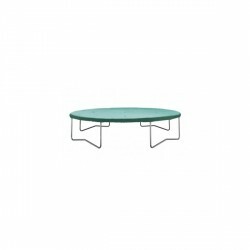 The individual frame parts stay connected perfectly at all times and make moving the trampoline easy. The Berg trampoline Champion 270 cm's sturdy, galvanised frame is weatherproof and provides year long enjoyment! Trampolining is not only fun, it also has many positive effects on the body. One's coordination and sense of balance are trained, the circulation is stimulated. Wir haben lange überlegt welches Trampolin für unere Familie das geeignete ist... nach einigem Hin und Her, hat uns das Berg Champion überzeugt! Die Qualität ist von allen Teilen überzeugend, die Verarbeitung entspricht dem Preis. Leider fehlte eine Mutter, dafür waren drei Schrauben zu viel. Berg trampoline weather protective cover Basic In stock! Berg trampoline weather protective cover Extra In stock! 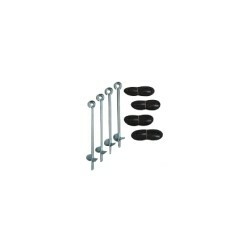 Berg fixing set for trampolines In stock! Berg safety net Comfort In stock! Berg Trampoline ladder In stock! Berg trampoline Champion 270 cm add to comparison list.